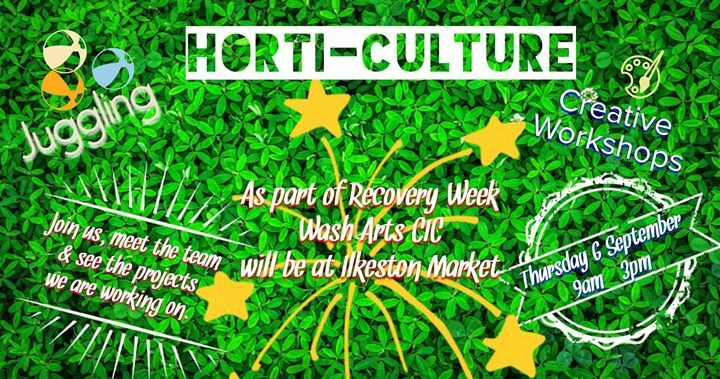 As part of Recovery Week, Wash Arts will be at Ilkeston Market on Thursday 6th September from 9.00 am to 3.00 pm promoting our Horti-Culture Project. The Horti-Culture project is a creative and horticulture project for people recovering from Alcohol, Drugs and Substance misuse in Erewash. Funded by Derbyshire County Council and in collaboration with Derbyshire Recovery Partnership. Supported by Erewash Partnership and Arena Church.